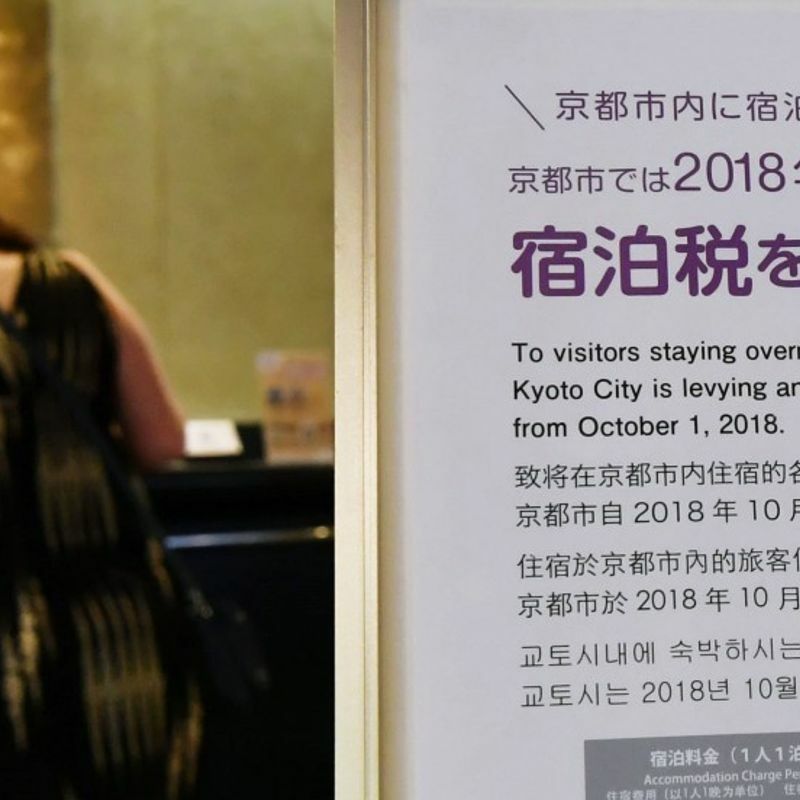 KYOTO - Japan's ancient city of Kyoto, a popular tourist destination, began levying taxes Monday on visitors staying at hotels, traditional inns and private lodgings to ease problems such as congestion and improve tourism services. Guests will be taxed between 200 yen ($1.76) and 1,000 yen per night depending on the accommodation charge. The city expects to raise 4.56 billion yen annually through the tax and use the revenue for tourism promotion measures. 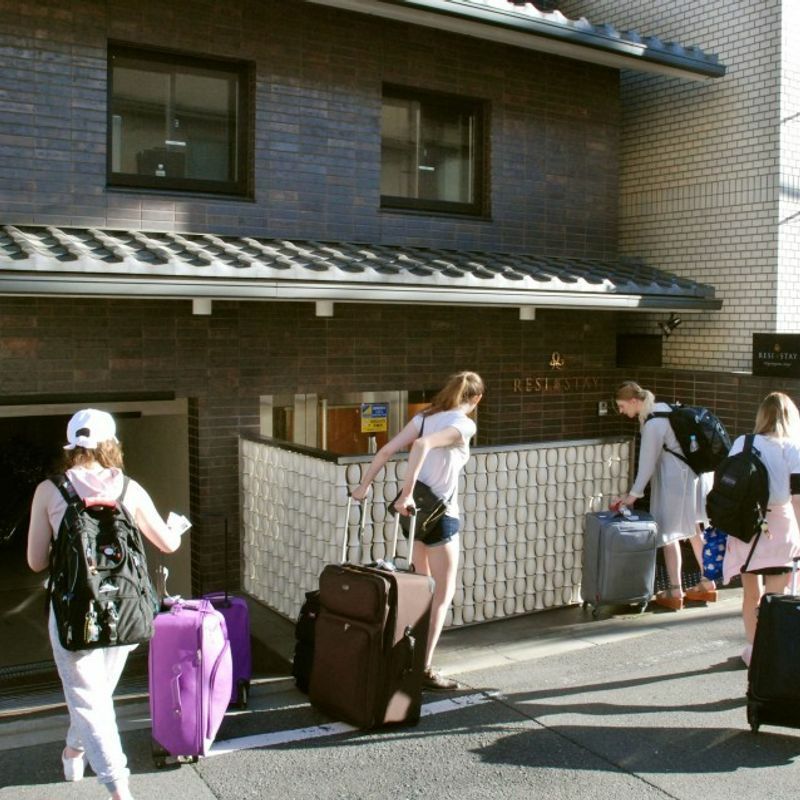 Kyoto is the third municipality to impose lodging taxes after Tokyo and Osaka prefectures, which target travelers staying in accommodation that charges more than 10,000 yen. Students and their chaperones on school trips will be exempted, according to the city. Hearton Hotel Kyoto in the city's Nakagyo Ward has put up notices and signs in its lobby to let customers know about the tax. 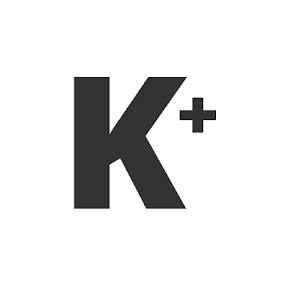 "Kyoto's lodging tax is still not well-known so we would like to explain about it using leaflets provided by the city," its manager, Kazuya Nishida, said. Kyoto faces a chronic shortages of lodging facilities and illegal private lodgings have been filling the vacuum. In 2017, about 15.57 million people visited the western Japan city. The number of unauthorized private lodgings has been decreasing as the city has taken action but at least a few hundred of them are operating, and the municipality faces a challenge in taxing all lodgings successfully. Other cities have been following suit in levying a lodging tax. Kanazawa city in central Japan will introduce the duty next April and the Fukuoka city assembly has passed an ordinance to urge the southwestern Japan city to establish such a tax. In Kutchan town in Japan's northernmost island of Hokkaido, a bill for a 2 percent tax on accommodation fees has been submitted to the town council. In June, private home rental services began across Japan under a new law regulating the lodging business. The legislation is aimed at eliminating properties that do not meet the requirements and are unregistered with local authorities.